I few weeks ago I was fortunate enough to take a brief trip to New York City for a wedding. I knew I wouldn't have a lot of time to shoot but I figured I could squeeze in a few hours so I brought my camera gear. Williamsburg Bridge from the East River. The first day in the city I took a boat tour of Manhattan. 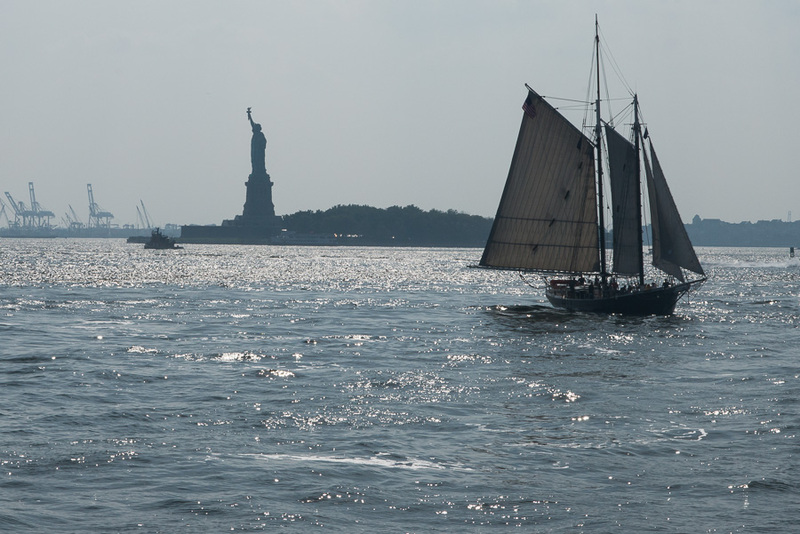 The tour started in midtown on the East River and headed south past battery park and out to the the Statue of Liberty. It was a perfect clear day. I brought my circular polarizer to help make the colors pop and to fight the glare from the buildings and the water. It was very cool to see Manhattan from the water. The buildings seem to come right up the shoreline and dominate everything around them. After the boat tour I had a few hours to travel the city. I wanted to walk the Brooklyn Bridge and shoot Manhattan from under the Brooklyn Bridge but we didn't make it out there. Instead I decided to go to the Top of the Rock to try to capture the sunset. I thought buying tickets and getting up the elevator would be quick but it took a lot longer than I had thought. Fortunately I had given myself just enough time to get up to the observation deck before sunset. The views of Midtown and downtown were truly amazing and I totally lucked out with the sunset that night. I was able to get some great shots of the sun setting over Manhattan and captured this one that is now in my portfolio.